I think Rumpelstiltskin is one of the fairy tales that intrigued me most as a child. What’s not to love? Spinning straw into gold, a creepy little man trying to take a baby… good stuff. 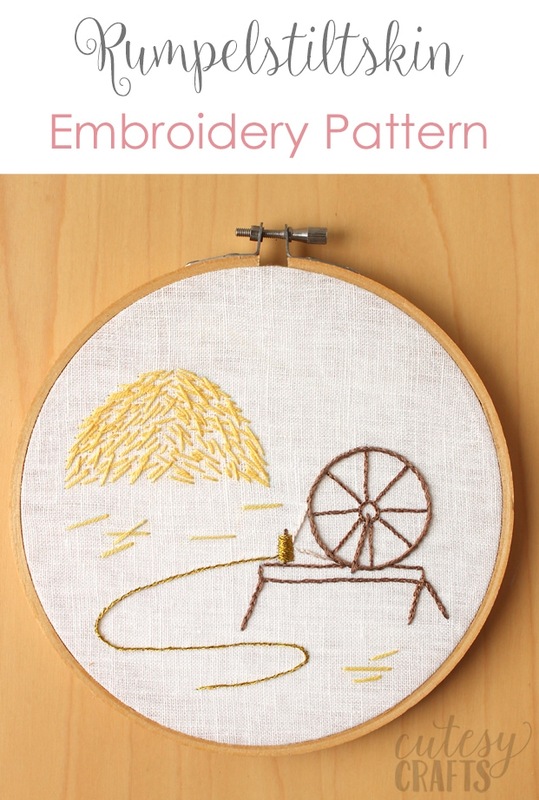 Anyway, I knew I needed to include it in my fairy tale embroidery series. If you missed the other hoops, you can find those here. 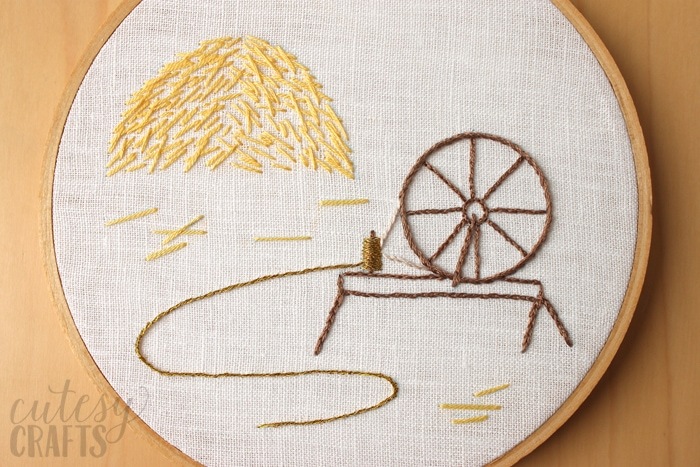 This one is done in a smaller embroidery hoop, only 6 inches. I had to watch some YouTube videos to figure out how a spinning wheel works. That way I could be sure to use the right colors for each part. I wasn’t sure if the gold would go around the wheel or what. It turns out the string that goes around the wheel just makes the wheel turn and isn’t part of what is being spun. 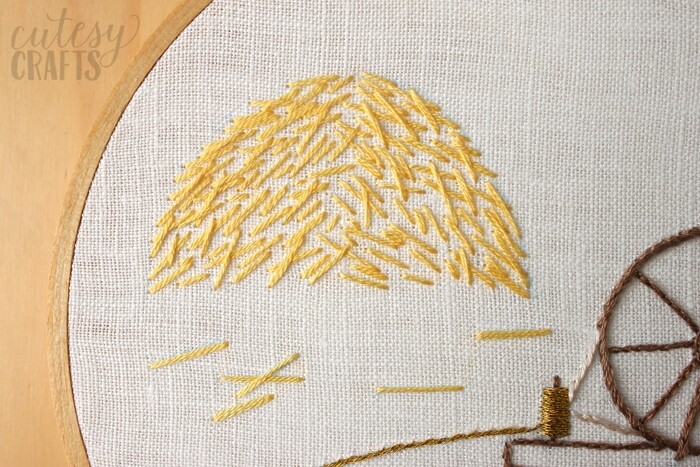 The haystack is just a bunch of straight stitches in a dome shape. I put each stitch on the pattern, but you can also just outline the dome shape and fill it in with random stitches. 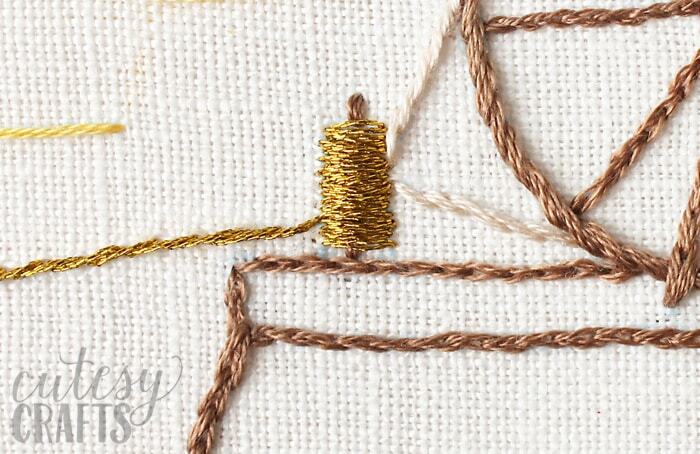 I think the highlight of this hoop is the metallic gold thread. It was a pain to work with, but it was worth it. So shiny! 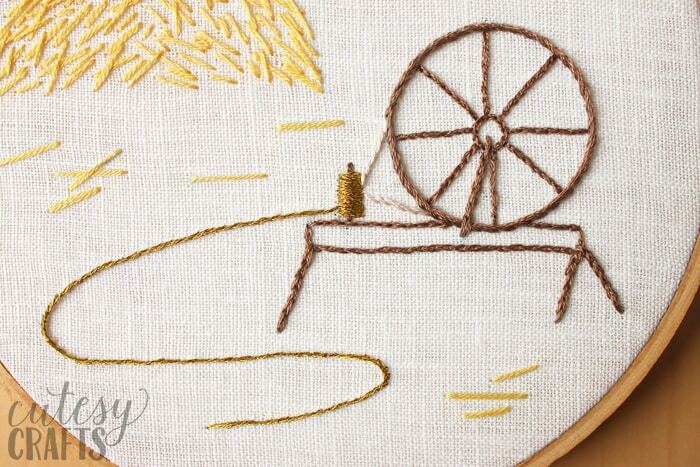 Such a fun and easy hoop to stitch up!